This rendering demonstrates how the acoustic tractor beam works. For the first time, researchers have demonstrated it's possible to levitate large objects—like people. 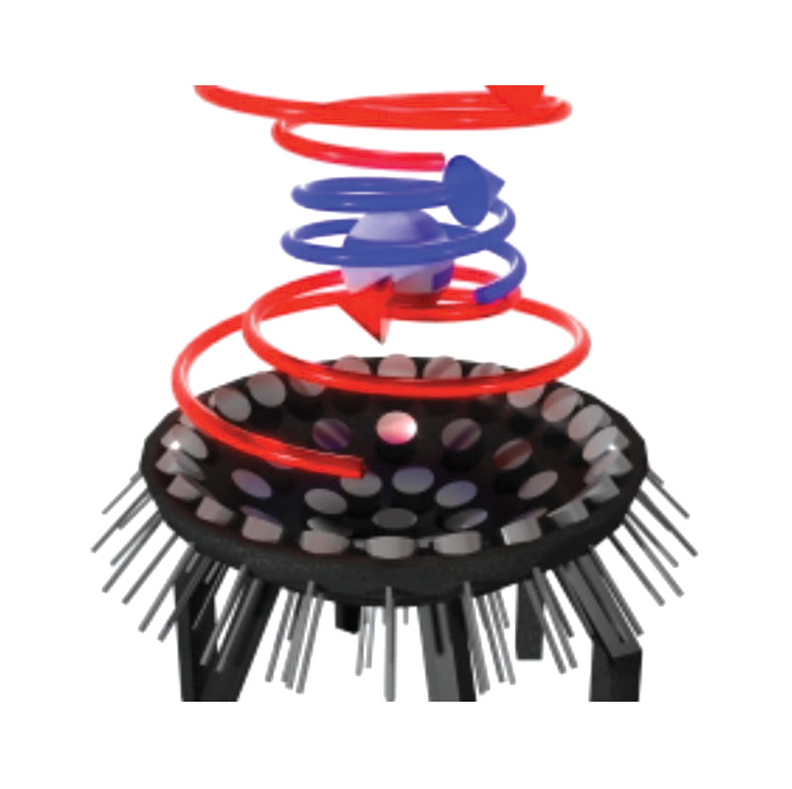 Engineers at the University of Bristol discovered an acoustic tractor beam, which uses sound to hold particles in the air, could trap matter larger than a wavelength of sound. It was previously believed these tractor beams could only hold small objects, because researchers were unable to hold anything larger than a wavelength without causing the objects to spin uncontrollably. Their new strategy looks like "tornadoes of sound," with loud sound surrounding a silent core to hold an object steady. The discovery was published in Physical Review Letters in January. "Acoustic researchers had been frustrated by the size limit for years, so it's satisfying to find a way to overcome it. I think it opens the door to many new applications," Dr. Asier Marzo, lead author on the paper, said in a news release. Some of those applications could be big in healthcare. The technique unlocks the possibility of manipulating drug capsules or using microsurgical tools inside the human body. For now, the largest object researchers have been able to hold in the tractor beam is a 2-centimeter polystyrene sphere. But they have big hopes. "In the future, with more acoustic power, it will be possible to hold even larger objects," said Mihai Caleap, a senior research associate who developed the simulations. "This was only thought to be possible using lower pitches making the experiment audible and dangerous for humans."